Its lines and volumes remind one of a book. 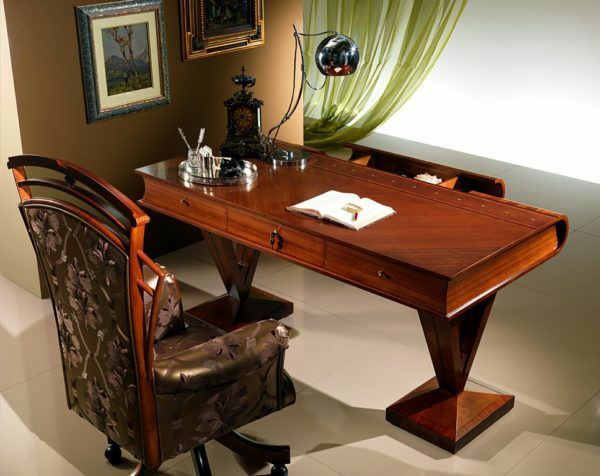 The solid wood structure is enriched by precious briarwood and rosewood filleting. The working of the top is elaborate and original: a rhombus filleted band with details in inlaid mother of pearl matches the briarwood corners with filleting. 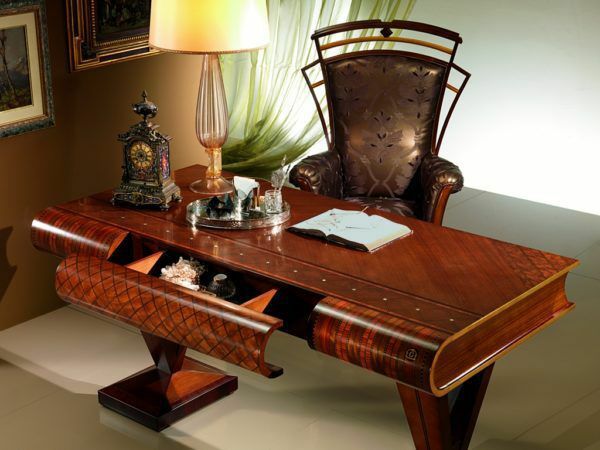 The desk has three drawers as well as a spacious secret drawer which can be blocked. The base is made of palisander with rosewood filleting.